It’s not easy to choose the best Ethernet switches for your network from the abundance of available Ethernet switches on the market (some may prefer a managed Ethernet switch, while others won’t need anything above an unmanaged or smart Ethernet switch), so, in order to make the process easier, I have divided the article into three main sections: the first addresses the best unmanaged Ethernet switches, which are more suitable for home use or for small business networks, the second section covers the best web-managed Ethernet switches which are also suitable for home use (tech enthusiasts) and for small to medium business networks and the third section addresses the best managed Ethernet switches which, as expected, are going to be used in an enterprise environment (medium to large businesses). UPDATE 04.12.2019: TRENDnet TPE-LG80 Ethernet Switch has been added to the best Ethernet switches list. An Ethernet switch is a networking device that connects a large variety of devices (like IP cameras, computers and even other switches) into a common network and it uses the packet switching technology to receive, process and eventually forward the data to the destination client. Network switches are commonly used to create a business network (especially devices with lots of ports), but there is also an increasing tendency to include switches into a home network, especially since IP cameras are getting more popular. On the market, you can find switches that use physical addresses for data processing and forwarding at the layer 2 of the OSI model, but there are also layer 3 switches that besides all the features of a L2 switch, have routing functionality (so, similarly to some traditional routers, they’re capable of hardware-based packet switching). The Linksys LGS116P is an unmanaged 16-port network switch that is part of the Linksys’ Business Desktop Gigabit PoE switch series along with the LGS108P and LGS124P, an 8-port device and, respectively, a 24-port switch. The LGS116P is a great solution for your office network, but it can also be used in your home (since this is an unmanaged device, which means that you can’t really configure it, it just allows the connected clients to communicate with each other). The LGS116P features a fairly large rectangular metallic case (but comparing it with other 16-port switches, it’s surprisingly compact), with two pairs of airflow vents on the left and on the right, and no internal fan (it relies solely on passive cooling). The top of the LGS116P is quite plain, with only the blue Linksys logo breaking the continuity of the black matte finish. In terms of positioning, the The LGS116P can be positioned flat on the surface (its dimensions are 4.2 x 11.0 x 0.9 inches and it weighs 1.8 lb) and it can also be wall-mounted, but it’s not rack mountable (only the larger LGS124P has this feature). If you turn the device upside down, you’ll see that there are no airflow vents here, there are only three screws, four round feet, two holes for wall mounting and a label containing the information about the device (model number, serial number). The front of the switch is home to all 16 Gigabit 10/100/1000 Ethernet ports, from which only the first eight come with PoE+ support. The PoE+ technology allows you to transfer data and receive power over the Ethernet cable, so you can connect compatible devices without the need to have a power outlet in the vicinity (some of these devices can be access points, IP cameras, network hubs, intercoms, VoIP phones and so on). The entire dedicated PoE power budget is 80 W.
All of the ports have one green amber LED for Link/Activity/GB and the first eight ports have an additional green LED for PoE. On the left of the ports there are also two LED lights for Power (a blue LED) and for PoE Max (the LED will be amber and if it’s on, it means that the total power budget is over 67 Watts, otherwise, if it’s off, it means that the power budget is under 67 Watts). In terms of hardware, the LGS116P is equipped with a Marvel 88E1685LKJ2 chipset and, since we get a total of 16 Gigabit Ethernet ports, there is a total bandwidth of 32 Gbps available. 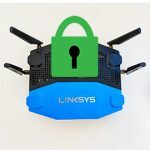 Setting up the Linksys LGS116P is simple, all you have to do is connect the power adapter to your switch and into a power outlet and then connect your network devices to the switch by using Ethernet cables (you can also cascade your switch to another switch). Since this is an unmanaged unit, you don’t get to configure the switch, but there are some interesting features that are worth mentioning. There is the Quality of Service Traffic Prioritization (QoS) which ensures that regardless of network congestion, certain data throughput is still maintained for some connected devices (useful especially for video streaming or VOIP). There’s also support for Jumbo Frames (up to 9K bytes of payload frames, which means less CPU cycles and reduced overheads). Another cool feature is the PoE prioritization. 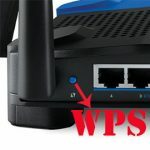 What it does is it assigns the highest priority to the port 1 and as you connect devices, the higher the port ID, the priority will be lower. So, if only seven ports out of the eight are connected, but the maximum power budget is already maxed out, the eight device will be declined, since it will have exceed the power budget. The Linksys LGS116P switch is compliant with the following standards: IEEE 802.3, 802.3u, 802.3x, 802.3ab, and 802.3az. Additionally, for PoE devices, it supports IEEE 802.3at and 802.3af standards. If a devices does not support any of these standards, it will not be powered ON. Note: Inside the box, you can find the Linksys LGS116P unit, a Power Adaptor, a Wall Mount Kit, a Quick Start Manual and a CD with the documentation. Most unmanaged Ethernet switches allow you to connect multiple devices in a plug and play manner and, since these devices lack any utility software, some do come with hardware means of offering some type of QoS. The new TRENDnet TPE-LG80 is built in a similar way, but it went a few steps further so, besides featuring the same plug and play approach, the switch supports PoE+ on all of its eight ports, it offers QoS and VLAN port isolation, but, most importantly, the PoE+ signal can be extended up to 656 feet (at 10 Mbps full duplex), instead of the default 328 feet. This ensures a more flexible outdoors deployment (or indoors, if you have a large area to cover) of PoE devices, such as wireless access points (for a better WiFi coverage), IP cameras and more. Besides the 8-port TPE-LG80, TRENDnet has also released the 5-port TPE-LG50 which is also part of the new Long Range series. Similarly to other switches on the market, the TPE-LG80 features a rectangular metallic case, covered by a black matte finish all around and the only relevant touch of colour is the green band on the front of the device (surrounding the ports), along with the red DIP switch area on the front. Sure, the TPE-LG80 may not be as good looking as the Netgear Nighthawk S8000, but it has adopted the most practical design which allows you to place the router on a flat surface or mount it on the wall – for mounting it on a rack, you will need to use a tray since the manufacturer did not add any lateral holes for attaching rack mounting ears. Usually, PoE switches aren’t as compact as the non-PoE counterparts, but, TRENDnet has done some magic and managed to include all the necessary hardware in a very small case. So, the TPE-LG80 measures 9.45 x 4.13 x 1.1 inches and it weighs 20.88 ounces (it has a smaller footprint than the TPE-TG81g which measures 10.5 x 6.3 x 1.7 inches and the OM S8 is about five times bigger). Furthermore, PoE switches have a tendency of running at a higher temperature, so TRENDnet has added a set of ventilation cut-outs on the right side, as well as on the left side and on the rear, but it decided against including a fan, therefore purely relying on passive cooling. This ensures that the Ethernet switch will always run silently and, if you worry that it may overheat, rest assure that it won’t – it does get slightly warm on the top when put under some stress, but the TPE-LG80 never showed any signs of overheating. On the front of the device, there’s a DC-In port, an On/Off switch, a DIP switch (with eight switches, each performing a different task on various ports), a PoE Alert LED (lights up when the PoE budget goes beyond the maximum 65 Watts), a PWR LED and two LEDs for each Ethernet LAN ports (the bottom LED will becomes green when a PoE device is connected and, the top LED becomes amber when the connection is established at 10/100 Mbps and it will shine green when the connection is at 1000 Mbps). Lastly, farther to the left, rest the eight PoE+ Gigabit Ethernet LAN ports. As expected from an unmanaged Plug-and-Play switch, the installation process is incredibly simple and all you have to do is connect the TPE-LG80 to a power source, use an Ethernet cable to connect it to a modem / router and add any other devices using the front panel ports (besides the usual access points or computers, you can also connect 802.3af PoE cameras and 802.3af PoE+ surveillance cameras). The TRENDnet TPE-LG80 lacks any type of utility for managing or configuring the device and the network, but, there are some interesting built-in features that will make a difference and, of course, I’m talking about using the DIP switch. If you push the first DIP switch to the On position, the first and the second ports will extend the PoE+ distance up to 656 feet (limited at 10 Mbps) and, to put this to test, I connected two devices to the switch (using a 560-foot cable in between them) and saw an average throughput of 9.52 Mbps from the client to the server and 9.45 Mbps from the server to the client. 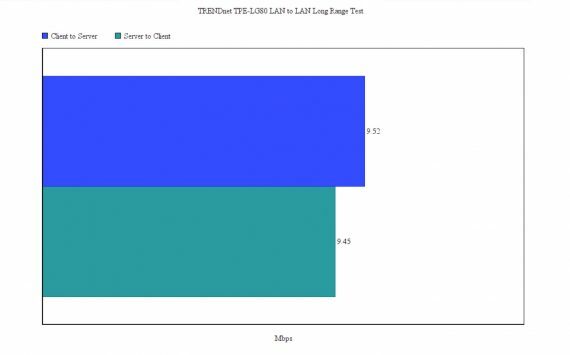 This indicates that TRENDnet has done a great job and the advertised throughput is close to what you’ll get in real life. The second DIP switch activates the long range ability to the third and fourth ports and the third DIP switch activates VLAN port isolation for the first to the fourth ports. The fourth DIP switch activates QOS, while the fifth DIP switch activates the LR function on the fifth Ethernet port. The sixth and seventh DIP switch will enable the LR ability to the sixth and seventh port, respectively and, lastly, the eighth DIP switch activates the VLAN port isolation to the port 5, 6 and 7. It is important to not switch on the DIP switch three and eight at the same time. 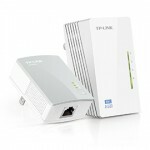 Note: Inside the package, there is the TRENDnet TPE-LG80 Long Range switch, the Power cord and a Quick Installation Guide. 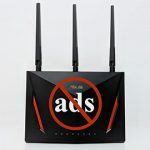 TP-Link has gone a long way from its early days when it was only influential in the country of origin (China) and managed to achieve a top place among the best networking products manufacturers in the world. TP-Link’s interest spans over many type of products, including thepowerline adapters, wireless routers, ADSL modems, IP cameras and, of course Ethernet switches. 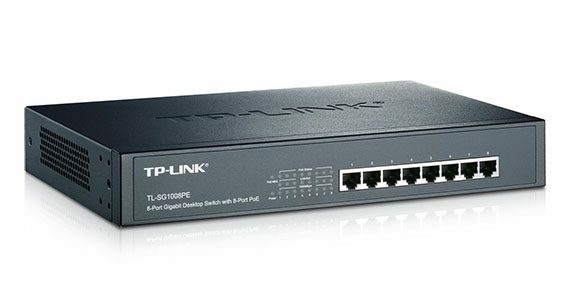 The product I’m going to focus on is the TP-LINK TL-SG1008PE, a 8-port PoE+ rackmount switch which is part of the unmanaged type of devices. The TL-SG1008PE features a rectangular metallic case, covered by a dark blue finish and with a slab of plastic where the LEDs and ports reside. 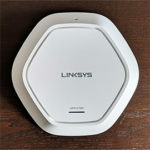 The top of the TL-SG1008PE is quite uneventful, the only thing that caught my attention is the carved-in TP-Link logo. On the left, you can find a series of air vents that help deliver a better ventilation, but it doesn’t stop here, because TP-Link decided to go the noisy way and equipped the TL-SG1008PE with a fan (hidden under a hexagonal shaped vent hole pattern on the right side of the switch). While other 8 and 16-port switches from this list were quite compact and could be easily placed anywhere, the footprint of the TL-SG1008PE is a bit large (it measures 11.6 x 7.1 x 1.7 inches and it weighs 5.5 lbs). So, you can definitely place the switch on a flat surface (like a desk or a shelf), but if you don’t have the space for it, you can’t mount the device on the wall. Fortunately, it can be mounted on a rack. The front side of the switch is home to the eight 10/100/1000M RJ45 Ethernet Gigabit ports (all eight come with PoE+ support). On the left side of the ports, there are two main LEDs for PoE MAX (solid red means that the power of all connected devices is between 120 and 126W, otherwise, if the LED is flashing red, it means that the power of all the connected PoE ports is either equal or exceeds 126W; lastly, if the LED is off, then the power of all connected PoE ports is under 120W) and Power (if it’s flashing green, then the power supply acts abnormal). Besides these two LEDs, there are three arrays of LED lights for every port, each showing the PoE Status (flashing green means that there may be a short circuit or that the power current may be overloaded), the Link/Activity and the 1000Mbps (if the LED is on, it means that the port connection runs at 1000Mbps; there is no distinctive colour for the speeds under the 1000Mbps). On the back side of the switch, there is a power port (100-240V~ 50/60Hz 2.0A) and on the bottom side there four protruded feet and a label with printed info about the device (the serial number). Furthermore, the TL-SG1008PE features a total PoE power budget is 124W, but there are two additional variations of this Ethernet switch which can also be added to the best Ethernet switches list: the TL-SG1008P, an 8-port Gigabit switch that is equipped with only four PoE ports and there’s the less expensive TL-SF1008P, also a 8-port switch with 4 PoE ports which lacks the Gigabit speeds (it uses older Fast Ethernet ports). 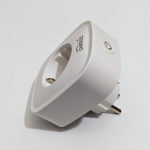 Since we are dealing with a Plug-and-Play device, the setup process of the TL-SG1008PE is quite simple, all you have to do is connect the power cable to the back of the switch and to a wall outlet (keep a safe distance from the other devices that may cause interferences, such as powerline adapters) and then just add your devices using Ethernet cables (since this is a PoE+ switch, you can add 802.3af/at compliant devices, like IP cameras or IP telephones). One interesting feature is the priority functions, that has the role to protect the system in case of power overload. So, if the power consumption is greater or equal to 124W, the eight PoE+ ports will receive a priority and the switch will cut the power from the port with the lowest priority (for example, port 1, 2 and 4 will use 30W, while port 3 will use 25W, so any port after the first four will have the power supply cut, as they will have a lower priority). Furthermore, the TL-SG1008PE has a great energy efficient technology that detects if there is any unused PoE port, so it can reduce the power consumption by up to 75%. Additionally, the switching capacity is 16Gps and it supports Jumbo frames (16Kb). The TP-LINK TL-SG1008PE switch is compliant with the following standards: IEEE802.3i, IEEE802.3u, IEEE802.3ab, IEEE802.3x, IEEE802.1p, IEEE802.3af and IEEE802.3at. Note: Inside the package, you can find the TP-LINK TL-SG1008PE switch unit, a Power cord, the Installation Guide, four rubber feet and two mounting brackets, along with the fittings. 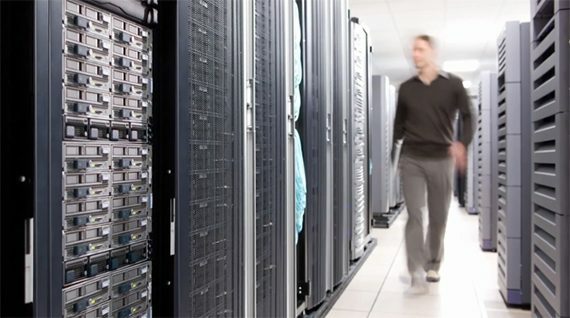 CISCO SYSTEMS is the largest networking company in the world and it’s well known for its enterprise-focused products (including routers and switches), but it also hasn’t neglected the consumer side. One such product that is more suitable for the homes/small businesses sector, instead of the larger offices and corporations, is the CISCO SYSTEMS SG112-24-NA, a 24-port unmanaged switch that can offer network connectivity, as well as reliability for small businesses. In terms of design, the SG112-24-NA looks pretty much the same as any other switch on the market. You get the black rectangular case, made of metal and with the matte finish on top. Since not much can be made for a switch to stand out from the crowd, manufacturers have resorted to making the devices as compact as possible. 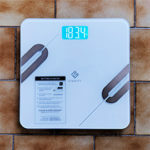 Cisco also adopted this new trend and made the SG112-24-NA surprisingly compact (it measures 11.0 x 1.7 x 6.7 inches and it weighs 5.05 lb), which means that it won’t take more space than a router. So, you can position it pretty much everywhere in the room in the horizontal position, but, if space is important (in offices), Cisco offered the option to wall mount the device. Additionally, the SG112-24-NA can be rack mounted by using the two included brackets (before installing the switch into a rack, take into consideration the ambient temperature, don’t obstruct the airflow, use an overcurrent protection and a reliable earthing). The bottom of the SG112-24-NA is plain, as well as the top, with only the CISCO logo that livens up a bit the device. 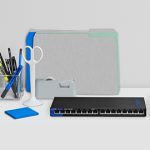 On the front, you are greeted with all 24 Ethernet Gigabit RJ-45 ports (10/100/1000) positioned in two arrays of 12, and two more combo mini-GBIC (SPF) slots that converts the electric currents to optical signals and vice-versa (acts as an interface for high-speed networking and it’s used for fiber optic connections). Each of the 24 Ethernet ports features two LED lights (on the left and right) for LINK/ACTIVITY and GIGABIT. On the left of the ports, underneath the small CISCO logo, there is a PWR green light that shows if the unit is powered ON. If you turn the switch around, there are a couple of labels, the first one containing information about the S/N, MAC address and PID VID. Next to the labels, there’s the Power port (100-240V~, 1000-500mA, 50-60Hz). This switch does not feature any fan (it uses passive ventilation), so there is no annoying noise. The heat dissipation is done by the series of vent holes on the left and right of the device. In terms of hardware, the CISCO SYSTEMS SG112-24-NA is equipped with 128 MB flash memory, 128 MB of RAM and, since we are dealing with a 24-ports switch, there is a total bandwidth of 48 Gbps available. 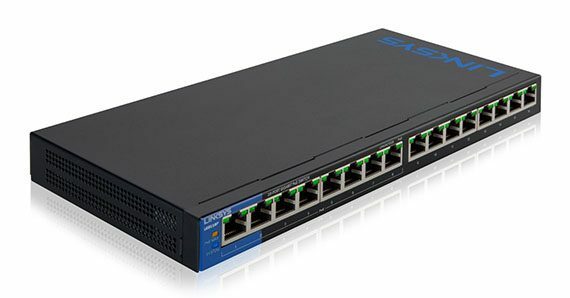 Setting up the SG112-24-NA is very simple, since this is a plug-and-play device, so you only have to connect your devices using an Ethernet cable and the switch will do the job on its own without needing any configuration from the user. Obviously, since this is a Cisco device, there are lots of interesting features that run automatically and help creating a reliable network. Among them, there is the Quality of Service (QoS), which senses the services that need prioritizing (like VOIP or video streaming) so you get a better network performance. The QoS also uses the weighted round-robin (WRR) features, which has the role to distribute the load among the resources, so the requests are evenly distributed. Another interesting feature is the Loop Detection, which has the role to discover any accidentally created loop in the network, so it avoids any possible broadcast storm (the network is overwhelmed by continuous broadcast or multicast traffic). Additionally, there are also the cable diagnostics (identifies any cable faults or shorts), the flow control, Layer 2 switching, auto-negotiating, it support Jumbo frames (9216 bytes), 35.7 Mbps forwarding capacity, Energy Efficient Ethernet (it monitors the traffic on an active link and it puts the link into sleep mode during quiet periods, so there is reduces energy consumption) and many more. The SG112-24-NA is compliant with the following standards: IEEE 802.3, IEEE 802.3ab, IEEE 802.3az, IEEE 802.1p, IEEE 802.3u, IEEE 802.3x and IEEE 802.3z. Note: Inside the box, you can find the CISCO SYSTEMS SG112-24-NA unit, a power Adaptor, the Rack Mount Kit and a Quick Start Guide. 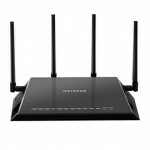 Netgear is a well known manufacturer of networking products, having a portfolio that covers consumer-level devices, as well as enterprise-type products. 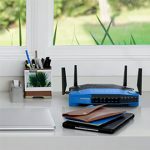 Among them, there are powerline adapters, routers (the Nighthawk series being incredibly popular), NAS devices, wireless VPN firewalls and ProSAFE switches. 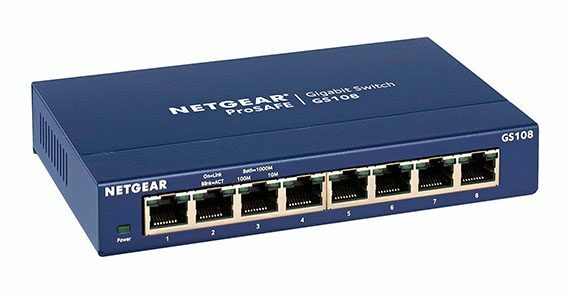 Maintaining the theme of the article, I will focus on an entry-level unmanaged switch, the NETGEAR ProSAFE GS108, which is suitable for home use, as well as for small business offices. The NETGEAR ProSAFE GS108 went through several revisions (the latest being v4), but it has kept the same design, looking very similar to pretty much every other switch on the market. It doesn’t really excel from the aesthetic point of view, but switches are all about practicability. So, you can expect a metallic rectangular case, covered by a blue matte finish, with the Netgear logo and name written on top, as well as two series of vent grills on both the right and left side. The switch itself is very compact, as expected from an 8-port device, it measures 6.2 x 4.0 x 1.1 inches and weighs 1.04 lb (it’s lightweight, but the four feet should give it more stability). In terms of positioning, the GS108 can be placed horizontally on a flat surface (just make sure not to obstruct the air vents), but it can also be wall-mounted. As expected, you can’t rack-mount it, this option being available only for the 16-port and the 24-port variants (JGS516NA and the JGS524NA). On the bottom of the switch, besides the four feet and the two holes for wall-mounting, there is a label with printed information about the device (the version of the switch and the serial number). The front of the switch is occupied by the 8 10/100/1000 Base-T RJ45 Ethernet ports and a Power LED (if it’s ON, it means that there is Link, otherwise, if it blinks, it means that there is ACTIVITY). Every port features two LEDs: the left LED lights up if there is a connection of 100Mbps, the right LED lights up for a connection of 10Mbps. If both LEDs are ON at the same time, it means that there is a connection of 1000Mbps. Unfortunately, none of the ports support the PoE technology. The rear side of the switch is home to a Kensington lock, an OFF/ON switch and a Power port (12V – 0.5A). Overall, the power consumption is quite low and because it doesn’t feature a fan (it relies on passive cooling), the switch is quiet. Furthermore, I saw some major improvements from the GS108v3 in terms of power conumption after Netgear added support for the latest IEEE 802.3az standard which should translate into reduced energy consumption (up to 50% less) when the cable is shorter than 320 feet (Auto Green Mode), when there is light traffic on any active ports or when no activity is detected (a features also called Auto-Power Down). Inside the case, the NETGEAR ProSAFE GS108v4 remains equipped with a Broadcom BCM53118 chipset. The advertised switching capacity of the NETGEAR ProSAFE GS108 is 16Gbps. Since this is an unmanaged switch, the setup process is very simple (this is a Plug and Play device): you have to connect the power adapter to the back of the switch and connect the desired devices using Ethernet cables (Cat 5). For every added client, the corresponding LED should turn on and flash when activity occurs. Despite being unmanaged, the NETGEAR ProSAFE GS108 has lots of built-in features that help crating a better LAN network. Among them, there is the support for Jumbo frames (9k), which has the ability to boost the throughput significantly, there’s also the Store and Forward and the 192 KB on-chip Packet Buffering forwarding modes. Additionally, you get traffic prioritization and DSCP-based QoS, so, applications like VOIP and video streaming have a higher priority. The NETGEAR ProSAFE GS108 is compliant with the following standards: IEEE 802.3i, IEEE 802.3u, 802.3ab, IEEE 802.3x, IEEE 802.3az and 802.1p. Note: Inside the package, you can find the NETGEAR ProSAFE GS108 Gigabit unit, the AC Power adapter, the wall-mounting screws, an Installation Guide and the Warranty. Buffalo Technology is a North American subsidiary of the Japanese company Melco Holdings Inc. The Austin-based company is a fairly popular manufacturer of networking products and a leading provider of NAS devices, wireless routers and access points, external hard drives, network switches (both unmanaged and smart devices) and many other type of networking solutions. One of the more popular products from Buffalo Technology is the BS-GU2024, which is an interesting rackmount unmanaged switch, suitable for small business offices or for a home tech enthusiast. The Buffalo BS-GU2024 is part of the Gigabit Green Ethernet Switches group and, since this series lacks the PoE functionality and, you can have a look at the 16-port BS-GU2016P (but be aware that it will cost a bit more). The design of the BS-GU2024 follows the same guidelines as most other switches on the market, which is a good thing especially because I am talking about a device that can be rack-mounted, so it has to have a rectangular case. Furthermore, Buffalo made the device fairly compact for a 24-port switch (it measures 11.8 x 1.7 x 7.0 inches and weighs 3.5 lbs) and the chassis is made of metal, therefore it’s a lot more durable than the plastic alternative. The Buffalo BS-GU2024 can be positioned in multiple ways: you can put it horizontally on a shelf or desk (but, don’t forget to attach the supplied rubber feet), it can be mounted to a metal surface by using the BS-MGK-A Magnet kit (which is not included in the package – see the note below), it can be mounted on the wall using the supplied mounting brackets (use the mounting holes from the bottom of the device) and lastly, the switch can be installed on a 19-inch rack by using the mounting brackets and the provided screws (use the four holes on each side of the device). Note: Inside the package, you can find the BS-GU2024 switch unit, an AC 100-240V power cable, a retainer band for the power cable, the 19-inch mounting brackets along with the screws, the rubber feet, the serial number stickers, user manual and warranty. Since this device is marketed as a rackmount switch, the top of the device is plain and uneventful (except maybe for the vent holes from the top edges) and the same can be said for the right and left side. But, on the rear side of the BS-GU2024, you can find the AC-IN power port and a zone for the power cable retainer. As expected, the front of the switch is the most eventful side. Here, you can find 48 LED lights, two for every port, each having three states: if the LINK/ACT LED is Off, the link has not been established, if it’s On, then the link has been established, otherwise, if the LED is blinking, it means that the data is being transferred and if the loop is blocked, the LED will blink once per second. If the 1000 Mbps LED (green) is On, it signifies a 1000 Mbps link, otherwise, if it’s Off, it signifies either a 100/10 Mbps link or no link. If the LED blinks once per second, it means that a loop is blocked. Additionally, there are a couple of LEDs, one for LOOP and the other for Power. On the right side of the LEDs, there is a small Loop prevention switch, which can turn On or Off this function. Next to the small button, there are two blocks of 12 LAN ports each (1000BASET/100BASE-TX/10BASE-T). Overall, the power consumption of the switch is 13.5W at full load and, since this is a fanless switch (possible because it’s unmanaged), the device runs silent. 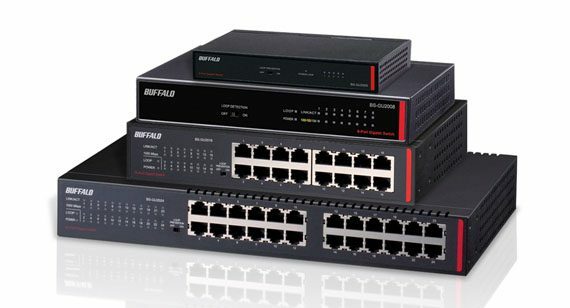 The Buffalo BS-GU2024 is an unmanaged switch, therefore setting it up is very simple (as with any plug-and-play device): all you have to do is to connect your devices to the switch, using Ethernet cables and that’s pretty much it, you don’t need to configure anything. But, this doesn’t mean that there aren’t some interesting features that help create a better and more secure network. The BS-GU2024 is capable of Jumbo Frames (9K – Header 14 Bytes + FCS 4 Bytes inclusive), has a buffer memory of 512KB and a switching fabric of 48 Gbps. 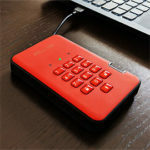 Furthermore, the switch features the 802.3az Green Ethernet technology, that scans which ports have connected devices and provides power only to the active ports, while also putting any transmitters in Sleep Mode if no data has been received or sent. Also, this feature takes into consideration the length of the connected cable so it can adjust the amount of power it needs to supply. Additionally, the switch has the Loop prevention feature which will turn off any port where there’s a network loop detected (you will also be alerted by the dedicated LED if there is a network loop detected). Note: The switch has an internal power supply. As you have probably guessed, you will find three main types of switches: unmanaged, Web-smart and managed switches. The unmanaged switches are the most basic from the bunch, as they require no configuration, no management and they work as plug-and-play devices (just add your devices one by one using Ethernet cables). But, this doesn’t mean that the unmanaged switches are devoid of any features. Quite the contrary, because most come with a basic form of QoS, there is PoE port prioritization (if PoE support is present), but, everything is done automatically and works as you power on the switch until you turn it off, there is no way to configure these options in depth (some can still be monitored by LED indicators). In terms of appearance, there isn’t a difference between an unmanaged and a managed switch, they can be positioned on a desktop, wall or rack mounted. But, is an unmanaged switch the best device for you? Well, if a plug-and-play switch that doesn’t require any configuration and works well by its own sounds good to you, then yes, you should go for it (also, take into consideration the built-in PoE support). Also, don’t forget that unmanaged switches are the cheapest out of the three variations. The Web-smart switches are a form of managed switches, but with a more limited feature set (they fall between the unmanaged and the managed switches niche). Smart switches are easy to set up and offer a web interface that allows you to configure a lot of features (a more basic set, comparing it with a full managed switch). You get Link Aggregation, Port Monitoring, VLAN, QoS, LAG and some other L2-level features, but, while most of the managed switches can be managed using a CLI (command line interface), a smart-managed switch lacks any console port, SSH or telnet support. While some may argue that a web-smart switch may have a poorer management spectrum, less features and not enough security, technology has evolved a lot lately and some web-managed switches can now rival the full-managed ones. But, this will be reflected in the price tag (although, usually, smart switches are cheaper than the enterprise ones). But, do you need a Web-smart switch? Since these type of switches are the middle ground between the unmanaged and the managed switches, it means that they will work great with small businesses, as they offer some degree of configurability (especially if the features of a managed switch may be overkill) and, usually, they come at a more reasonable price. If this are your needs, then yes, smart switches are perfect for you (again, take into consideration the advantages of PoE support). A fully-manages switch (also known as enterprise switch) offers the most out of the three variants and the biggest difference between them is the level of control over the network. As expected, the fully managed switches provide the greatest amount of management and control. You also get access to more than one interfaces (including CLI, SSH and SNMP) and layer 3 features (routing capabilities). Now, do you need a fully managed switch? There is an IT joke that if you wonder if you need a managed switch, then chances are you that don’t. And there is a bit a truth into this, because a managed switch gives full control over the network and the manager can see everything that is going on and adjust it in such a way that the network will be perfectly optimized. This requires a clear understanding of how things work and a steep learning curve. Usually, medium to large enterprise-level networks would need such high-end switches, but lately, even small businesses seem to take an interest for the fully-managed switches. What Features Should You Look For Before Choosing The Best Network Switch? One of the most important factors to consider is choosing the switch with the right number of ports (Ethernet switches, usually come with 5, 8, 10, 16, 24, 48 and 52 ports). For example, if you have 4 or 5 devices to connect, then a 5 or 8-port switch would fit the bill. 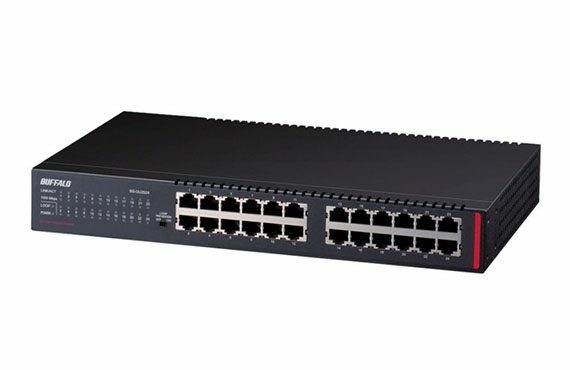 Also, if you have 15 devices, then a 16-port will handle them, but if you want to expand the network in the future, you may want to consider purchasing a 24-port switch. At the same time, if you have over 50 users (a small business), then you may have to consider purchasing two switches to handle your network. The Fast Ethernet is a term that refers to a traffic rate of 100Mbps (an upgrade over the usual 10Mbps rate), while the Gigabit Ethernet is a term that refers to a traffic rate of 1000Mbps. Obviously, a Gigabit switch is preferred, but depending on your network setup, it may not really be a necessity. You need a Gigabit switch if you need to push 1000Mbps per port and it’s ideal if you need to transfer large volumes of data and have a fast performing network with a low latency. Obviously, there will be more stress on the link, but you get a better performance, more bandwidth and less congestion, but if your network focuses on Internet access or just for the transfer of low volume of files, then a Fast Ethernet switch (100Mbps) will be more than enough. Regardless, you should still consider a Gigabit switch, simply because the technology got less expensive than before and it’s clearly future-proof. The PoE (Power over Ethernet) technology refers to any system that passes electric power along with network data on an Ethernet cable. This technology helps to reduce the cost (since you don’t need to install any power cables), is safe (has protection for overloading or underpowering) and is flexible (compatible devices can be installed anywhere, without worrying about having a nearby power outlet). Some of the devices that use the PoE technologies are VoIP phones, IP cameras and wireless access points. The last two types of devices are the reason why PoE switches are becoming more popular everyday. Nowadays, people value a lot more a flexible network infrastructure and a PoE switch allows you to connect any type of devices, but recognizes the PoE-compatible devices (such as IP cameras) and it enables power automatically. The PoE technology obviously offers a series of advantages and can be found implemented on unmanaged switches and on the managed ones, but will definitely increase the price (and sometimes even the size of the switch). 4. With Fans or Fanless? This one may seem simple, because everybody prefers their devices to be as quiet as possible, so a fanless switch is the preferred one. Unmanaged and Web-smart switches are usually fanless, simply because they don’t emanate a lot of heat (due to a less powerful setup), but, if switches have the PoE tchnology and are managed (therefore a better performance), then the passive cooling may not be enough, so when things get heated, the fans can come into action to cool the situation down. If you have a server room, having a noisy switch won’t really make a difference, but if you keep your devices on the desk or wall-mount them, then a fanless switch will be the preferred option. Ideally, a switch will feature all three options, but, depending on the size, the rack-mounting option may not make much sense. A desktop switch will have the default position horizontally, with four feet on the bottom, but, usually, you can also wall-mount it. The rackmount switches, on the other hand, will feature only this position (on a rack) as the only one available (the case will have no screen or LED on top) and some switches will also have the rackmount ears built into the body of the switch.